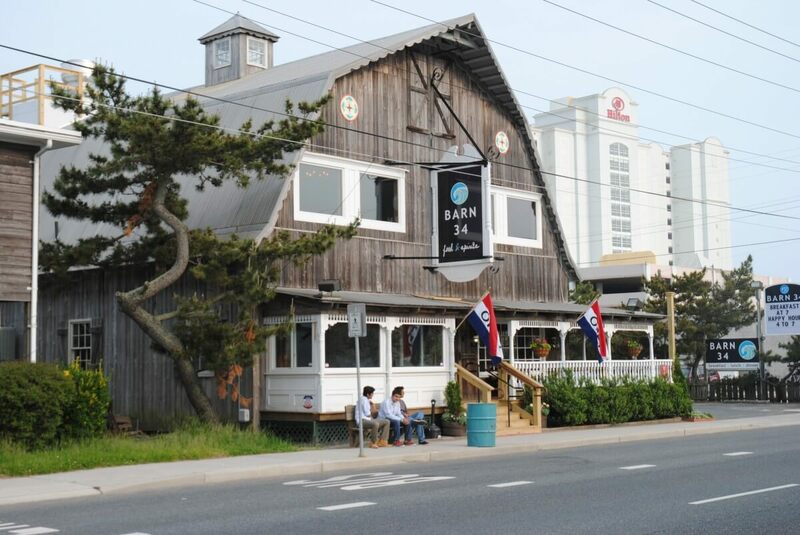 (May 23, 2014) With the Pirate’s Den’s renowned breakfast menu and the unique structure of the former Christmas Spirit building on 34th Street, Barn 34 is bringing a new dining experience to Ocean City. 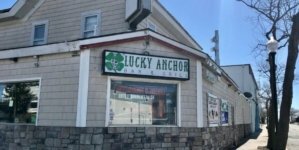 The aptly named restaurant on 34th Street features favorite breakfast dishes like Captain Crunch French Toast and Crabby Eggs from the Lawson family’s former Pirate’s Den, as well as a new lunch and dinner menu. The Lawsons went to work overhauling the former Christmas shop after it closed at the end of 2013, he said. 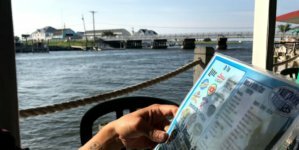 He enlisted the help of Johnny Collins, who built Seacrets, among other Ocean City establishments, to oversee the project and construction guru T.J. Carven. It was a labor of love as the old building had no plumbing and a glut of electric outlets that had to be gutted, Lawson said. 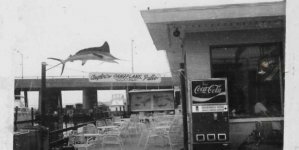 But he had a vision for the space, which included its picture windows overlooking Coastal Highway and the ping pong table on the second floor. Demolition began Jan. 2, with the restaurant’s soft opening May 8. Barn 34 has been serving breakfast since, based on Mary Anne’s well-loved menu served for almost two decades at the Pirate’s Den. The duo started their career in the service industry in 1985 as food and beverage managers at Castle in the Sand Hotel. They went on to build Coconuts, which the hotel took over after a decade. Mike and Mary Anne then owned and operated the Pirate’s Den for almost 18 years until the Ocean Voyager Motel, which housed the restaurant, was razed last summer to make way for the new La Quinta Inn & Suites now under construction. Barn 34 is just down the street from their former stomping grounds, dishing up breakfast every day until 2 p.m. 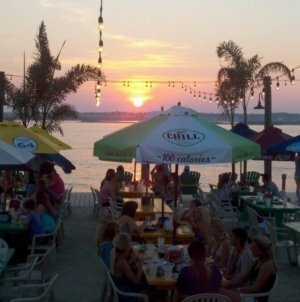 It also serves lunch and a dinner menu featuring traditional Eastern Shore dishes with local seafood and produce. 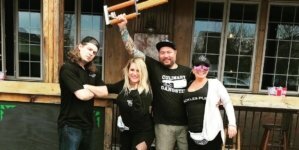 “It’s a good place to come and eat, but we also want it to be a place to come and have fun,” said Lawson, who plans on hosting live entertainment as well as wedding parties, the first of which has already been booked. In addition to its crew of local carpentry, electric and other experts, the business launched thanks to a $265,000 VOLT loan, generated from 1.5 percent of all Maryland casino yearly proceeds. The loan helped refurbish the interior of the building, which features pieces salvaged from the old Pirate’s Den as well as upcycled barn wood in the open-floored second story of the building. “We’ve had a lot of support form the local business community,” Lawson said. Barn 34 opens at 7 a.m. for breakfast, which is served until 2 p.m. The restaurant serves lunch and dinner and will stay open for drinks after hours as the summer season progresses, Lawson said. Visit Barn 34 on Facebook at www.facebook.com/barn34oc or stop by the restaurant from 7 a.m. to 10 p.m. to enjoy a meal.